When we start speaking about biomedical waste and hazardous waste, the majority of people think the result of it are considered hospitals. 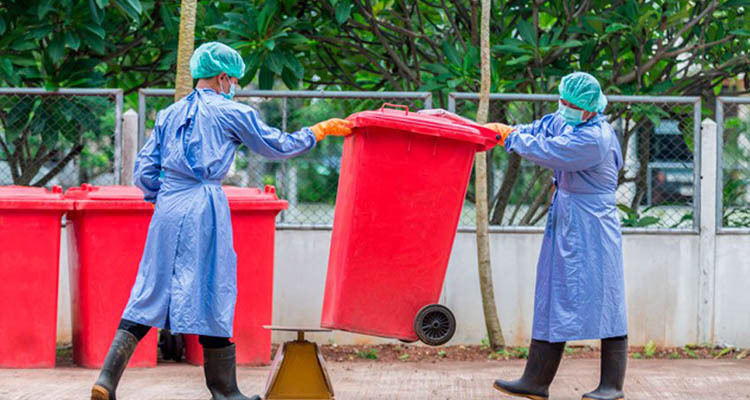 Although they are considered the main part creating the most medical waste, other facilities such as the veterinary clinic also creates biomedical waste that needs to be handled and disposed in a proper manner. The following things must be to taken into consideration if you assist in managing a vet clinic. When pets visit the vet office, logically they can’t exactly tell the doctor about the symptoms they are complaining of as humans will. This means the vet will have to run more tests than usual to determine why Fido is not acting like himself. Therefore, in the result of more tests more syringes and needles will be needed. Besides tests, many people bring their pet in annually for routine vaccinations. And although many vets try to give as few shots as possible, the needles add up. Needles (sharps) must be placed in a safe, designated sharps bin as it is done in hospitals. Besides needles, anything which is contaminated with blood must also be thrown away in a designated place such as a red bag. 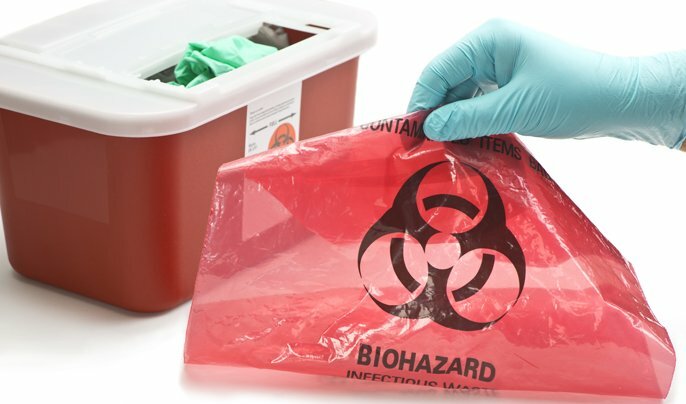 With Glycon, all of our services include biohazard bags and biohazard boxes. And if you wonder what goes where, just contact us to get all the answer to your questions. When we speak about medical waste, where it is disposed. whether it is regulated or not, everyone working at the vet clinic and office must be properly trained and educated about what goes where. For instance, one must certainly know that it is not the best idea to use a cutely painted milk jug and to throw away used needle. Besides causing harm to a worker or animal in the clinic, it will cause your clinic a hefty fine. If you use such methods for disposing medical waste, it could cost your clinic too expensive. And in extreme cases, a vet could be shut down. Working with a medical waste disposal company like Glycon can both assist you to create a safer environment, and it can also help prevent costly fines. At Glycon, we realize the trouble caused by ever-changing rules and regulations. If you cooperate with us, you can insure yourself with everything and get rid of any kind of troubles and headache as you get a team that does the research, the training, and everything in between. Call us at (844) 494-8222 to and learn more about our flexible pick-up options for medical waste disposal in Los Angeles and surrounding SoCal Areas. The red plastic containers or little red medical waste disposal bags which can be found in the exam rooms of the family doctor, vet clinic, or dentist office are NOT just for decoration. These red bags are typically designed and provided to hold biomedical waste and to help in time of the disposal process. The red coloring also helps bring attention to the people working in the facilities and it easily warns them that the bags and containers are “special” and have to be treated with “special” care and attention. the following three tips are to help you manage your red bag, biomedical waste. While disposing of medical waste, it is forbidden to mix them, with the other rubbish you have. It is forbidden both by law and there exist also hefty fines enforced for being non-compliant. There exist fines for improper medical waste disposal .In fact, not separating your medical waste in a right way is one of the most common infractions and carries a steep fine. Only biohazardous waste should be placed in red bags or red containers. Biohazardous waste is the solid or liquid medical waste and is contaminated with blood or other infectious material. Red medical waste containers and red medical bags must be moved away from general trash bins. In doing so the chance of medical waste being thrown in the regular trash can will be decreased and vice versa. It can save you both from getting a high priced fine, and also cut down on the amount of non-medical waste going in the red bags and bins and ultimately not to waste your money money. As to medical waste, there isn’t a “one size fits all” container. In fact, there are a few things to think and carry out when deciding on medical waste containers. Containers should be the correct size for the waste. Containers should be the correct material for the type of waste. Glycon, provides biomedical waste bags and biomedical waste boxes. It will also help you you know more about what type of waste goes into which type of container. It doesn’t matter that sharps are small, much damage can be caused by them if not disposed of in a right way. They can also rack up fines if anyone, including employees, gets stuck. The sharps which have already been used must be put into a container that cannot easily be punctured and preferably in such a container which was made of regulated plastic containers, One should also empty or change out his/her container unless it is full. If not doing so, it will increase the chances of employees getting stuck. Sharps should also be closed or locked in a sharps container before being placed in a red bag. At Glycon LLC, we understand that it can be a daunting task to control your medical waste. Call us for all you Los Angeles medical waste disposal needs. The number of senior assisted living and nursing homes has been greatly increasing over the last few years. Nursing homes are not quite hospitals, however they offer a few types of healthcare treatments to insure the happy and healthy standard of living of their residents. So there exist a lot of rules and regulations to follow when it is spoken about the medical waste produced. If you throw it away in the trash it will not reduce it. 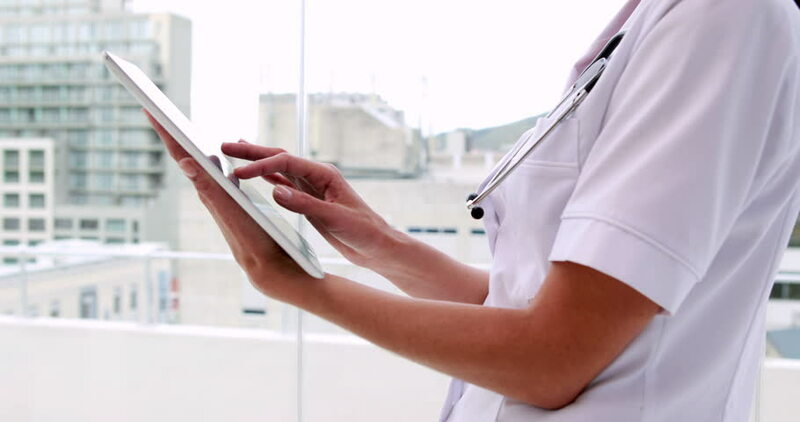 If you operate a nursing home, check out our guide to help improve your regulated medical waste management and learn how Glycon can help. People are out at risk in case if hazardous biomedical waste is not disposed of in a right way. Hence, it is necessary to create a medical waste program which would comply with federal and state regulations. In addition to keeping your senior residents and staff safe, a great medical waste program can also save money. All the members of the staff must know exactly what is allowed to throw away in regular trash cans, what can be recycled, and what medical waste goes into what containers. If you separate and manage your overall medical waste in a proper manner, you can save your assisted living or nursing home facility money. You have the opportunity to have a perfect medical waste program, but it is in vain if you cannot get your staff on board. Many nursing homes and other medical facilities do not manage to dispose of medical waste in a proper way because of the absence of training. Part of a facility’s medical waste plan is to know sorting of medical waste into disposal container. Every day a nursing home uses items that is considered medical waste such as needles, syringes, bandages, gloves, and other items that may contain bodily fluid which may be infectious. Glycon will provide you with the proper red medical waste disposal bags and red plastic containers for you to dispose of medical waste. Knowing properly to store your medical waste, will not only make it easier for pick-up and transport, it will also help you save your facility money. A huge number of pharmaceutical waste is created by nursing homes and senior living facilities. At Glycon, we intend to safely and properly remove and dispose of expired and unused medications so as to keep your clinic or business compliant. When you pour medications down the sink, they get into the ground water. When medications are thrown away in the trash, pills may cause major damage if consumed. In order to avoid those incidents we work with those who have unwanted, expired, and unused pharmaceuticals to properly transport and dispose of the medications. Combining a medical waste program isn’t difficult, and by working with Glycon, this process will become even easier. With great pleasure we will help your staff learn the proper techniques to disposing of the many types of waste produced in your senior living facility every day. By doing so you will be able to keep your business according to the rules and regulations surrounding regulated medical waste and in some cases, can save your facility money in a long term. Give Glycon a call today at (844) 494-8222 and find out more about our medical waste disposal Los Angeles services or fill out the form on our Quick Quote page. Remember, Glycon services span coast to coast to encompass the entire lower 48 states from Southern California and everywhere in between.